Even though, you have no idea where it was bought, so I think you should provide actual pics of the item so that everyone can see for themselves! And that's with free shipping. 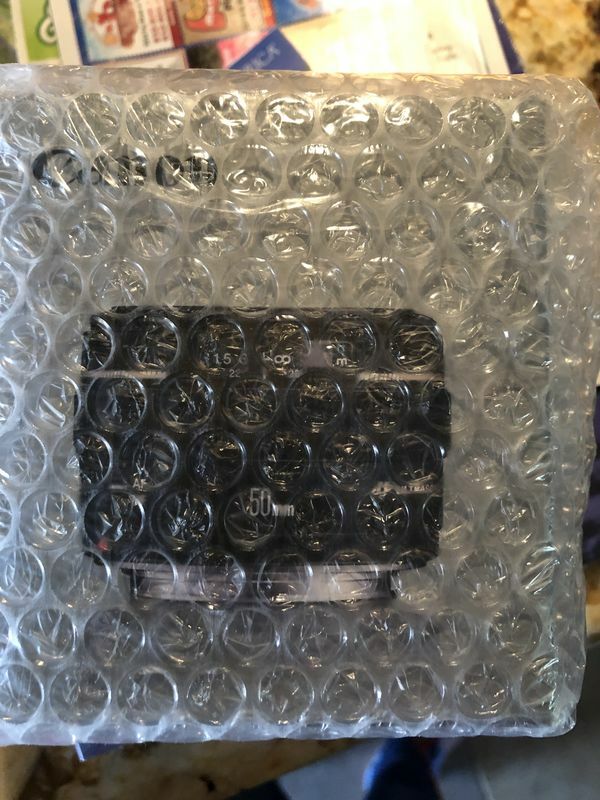 Canon doesn't pack lenses and manuals together in bubble wrap bags. And they come with front and rear caps. "New never used" is highly suspicious. Show us the front and sides of the lens so we can see exactly what model it is. Also a USA Warranty, and the ability to return if you don't like it, as well as the free shipping. Not arguing, just saying. . . I did not want to open it. This is the photo through the bubble wrap. Nedelewitz, Iam SO sorry you think my honesty is suspicious. Yes, the lens is brand new. I have no use for a Canon I shoot a Nikon. My great aunt is in her 90s and I hate to tell her she sent the wrong lens. I am too considerate I guess. 1. Lens & manual packaged together in bubble wrap....not the way Canon did/does it. Something you're missing about this? Maybe her aunt repacked it for shipping, I don't think that there is any reason to be mistrustful, so like the Hog for folks to involve themselves needlessly in the classified ads when they themselves have no interest in a purchase, it is rude, and my apology to the OP for my two bits. What about missing lens caps? THIS NOOB HAS VERY FEW POSTS IN COMMUNITY. aunt ! Translation: "The dog ate my homework". Where did missing lens caps come in? Are you seriously looking at the Canon box and asking about missing lens caps because you don't see them on the pic that Canon places on their packaging? Seriously? I would certainly buy from her before I would buy from you, she has been a member here for going on 6 years now, you people are outrageous to pollute this classified thread with your mindless garbage.